Blue and silver with flowers. Based on a Windows Live Spaces theme. 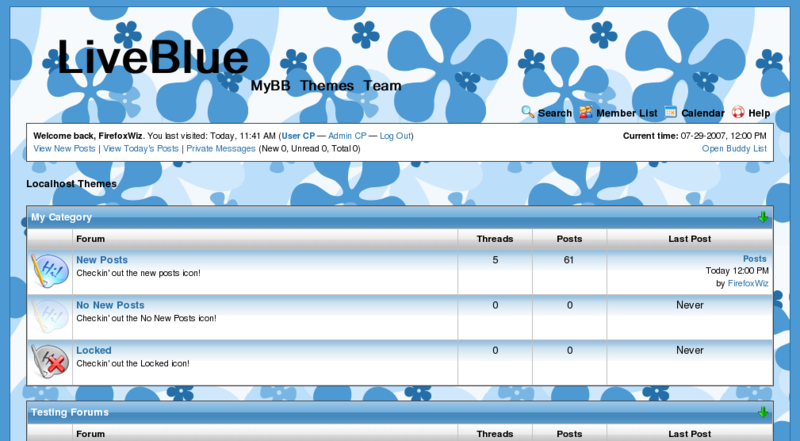 LiveBlue is based on a theme found on Windows Live Spaces. Blue and silver with flowers.